Disclaimer: If you are currently studying for, or considering WSET Level 3, this post is to ensure that you are thoroughly prepared. Have you ever walked out of an exam, and second guessed yourself so much that you weren’t sure why you even showed up in the first place? That was Wine & Spirit Education Trust (WSET) Level 3 for me. My almost 10 years in the Wine & Spirit Industry, Certified Specialist of Wine, CMS Intro to Sommelier, and WSET Level 2 Certifications meant nothing in the weeks leading up to, and following this exam, which was a very large leap from the Wine knowledge I needed to pass WSET Level 2. Oh, and did I mention that it takes 2-3 months (which equated to 100 years in my mind) to get your test results? Jokes aside, the WSET Level 3 exam was tough—I literally felt like I paid someone to mentally and emotionally torture me! The exam consists of two parts: Theory and Blind Tasting. Theory is split into multiple choice and short answer. The short answer tests your Wine knowledge comprehension. Can you thoroughly explain why you know what you know? While I breezed through the multiple choice, my hand was beyond tired after the short answer portion. I debriefed with another test taker afterwards and realized that the direction of one of my answers to a question (worth 25 points), though true, was probably NOT what the test was referencing or looking for—great news, right? I can tell the story way better than I can write it. Believe me, I’m very animated and my testing account will be one of the only times I invite you to “laugh at my despair.” Feel free to ask me about it if our paths should ever cross. This only shows a small portion of my happiness. I did not pass WSET Level 3 the first time. While I passed Theory with Merit, I missed on the Blind Tasting. However, I’m confident that this would not have been the case if I took the course in a classroom setting. In Atlanta, the only approved programme provider wasn’t offering the in-person course until October 2018. 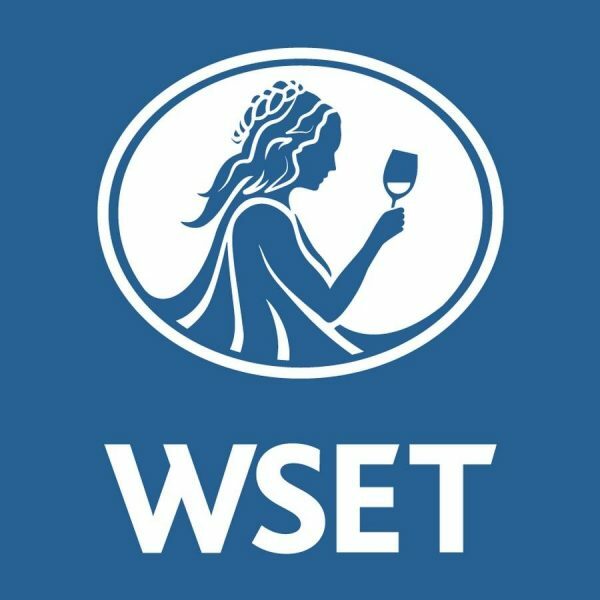 I feared that I would start to lose the information I learned with WSET Level 2 in 2017 if I waited that long and elected to take the Online Course instead. The good news is that you only have to re-sit for the portion that you missed (Praise Him! ), and it cost about $100, which is a drop in the bucket compared to the original price. I chose to go to Nashville to retake the Blind Tasting portion in September (patience is not my strongest virtue). And…drum roll please…on November 27th, I received word that I passed the Blind Tasting with Merit and I am now “amongst an exclusive group of wine professionals that are certified through Napa Valley Wine Academy and The Wine & Spirits Education Trust in London” — A fancy way of saying your Wine Best Friend DID IT! Continue reading below to learn about my exam preparation. As I mentioned before, to prepare for the initial test, I took the online course, which I do not recommend, because of the Blind Tasting portion of the exam. While you will get prepared for Theory, unless you are already in a Wine tasting study group, you are not fully prepared to enter the exam in my opinion. This is the key difference between taking the course online and sitting in a classroom setting. In a classroom setting, everyone will taste the same Wines at the same time. This ensures that everyone understands the WSET Systematic Approach to Tasting (SAT), and why certain descriptors look and feel as they do. Online, everyone (globally) is submitting their individual Wines, and while the proctor provides insight on your tasting notes, not tasting the Wine with you in person is a significant disadvantage. I joined two tasting groups here in Atlanta, and it helped me immensely for the second time I had to sit for the Blind Tasting. I was tasting wine weekly, if not twice a week at times, and all of that practice definitely paid off. My confidence sky rocketed! You’re not required to call what the Wine is with Level 3, but when the proctor showed the bottles after the exam, they were exactly what I thought they were, a New Zealand Sauvignon Blanc and an aged Napa Valley Cabernet Sauvignon. I also found this super helpful WSET Level 3 Blind Tasting Tutorial on YouTube. I’m a huge proponent of honing your craft. Whatever it is in life that drives you, continue to learn as much as you can about it! I encourage anyone that has any stake in the Wine Industry to get a Certification or two…or three lol. It simply makes you more credible. I have a ton of respect for the WSET Curriculum. It’s thorough and challenging. The satisfaction you receive from knowing that your hard work paid off, and the ability to apply it is definitely worth the anxiety. Although, not having to wait as long for the test results would be my gentle suggestion to WSET to help curb the aforementioned anxiety, Ha. Go forth and be great Vine Tribe! I really hope this helps you on your Wine Knowledge Journey! Cheers Y’all!